We develop ourselves - in a merging world. The FIEGE Group, headquartered in Greven in Westphalia, is a leading European logistics company that specialises in efficient supply chain solutions. With a workforce of over 12,000 at 185 sites in 15 countries, FIEGE operates on an international scale from core markets in Europe, to India and China. Since its formation by Joan Joseph Fiege in 1873, FIEGE has been family-run – and still is to date, by now in the fifth generation. The cousins Jens and Felix Fiege are part of the four-member Executive Board and manage the company in dual leadership. 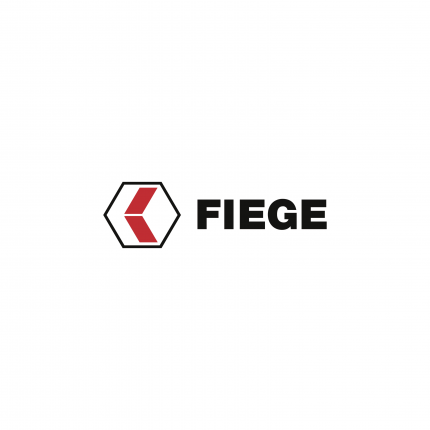 FIEGE is seen as a pioneer of contract logistics and since its formation has evolved from a transport company to a globally-operating full-service logistics provider. The tradition-conscious organisation never ceases to reinvent itself in order to remain state of the art in times of digitisation and automation. FIEGE focuses on these core sectors: Fashion, Healthcare, Industry, Consumer Goods, Tires, Media & Mail and Multi-channel Retail. We develop integrated customer solutions for eCommerce, transport, sea and air cargo, customs clearance, warehousing, parcel deliveries and real estate management, with services that span the full range from consultation to implementation of a supply chain concept. To us, our customers are our partners with whom we jointly develop durable solutions. We cater to your wishes with great flexibility, so that we can enjoy your trust as your logistics expert in the long run. With over 30 Mega Centers throughout the whole of Europe, we have the heart of our contract logistics clearly mapped out. Our portfolio includes single-user facilities as well as multi-user sites that deliver a maximum degree of flexibility. Our latest facilities are considered the most cutting-edge and sustainable of their kind within Europe. For example, the Rhine-Main logistics centre in Dieburg was awarded the Gold Certificate by the German Sustainable Building Council. The latest news from the world of FIEGE. The history of FIEGE: A timeline. We can look back at a long corporate past. In 1873, our founder, Joan Joseph Fiege, started out with a horse and a cart to provide transport services. In the meantime, we have become an internationally-operating enterprise with partners and subsidiaries around the world. Since the 1970s we have been looked upon as a pioneer of contract logistics. Automation and digitisation form challenges that we face in the here and now. Click through the different chapters of our company history. Joan Joseph Fiege formed a haulage company in Greven/Westphalia in 1873. Goods were transported exclusively by horse-drawn carts at the time. Transportation was a genuine sideline for the farmer, who for the most part carried coal to customers or ran other errands. Later on, orders came from Greven’s retailers as well as aspiring industrial enterprises. With the purchase of the first commercial truck in 1924, a new era commenced for the company. The first nation-wide supply chain concept of the FIEGE Group was worked out after taking over the 15,000-square metres large warehouse in Hamburg for the international tyre maker, Bridgestone - one example of precision branded supply chain management. The final breakthrough and the expansion of the company then followed after relocating to Greven-Reckenfeld. The head office and the administration were set up on a 100,000 square metres-large compound at the local business park. The hexagon-shaped goods distribution centre has by now become known beyond the region. The company concept of the Fiege siblings changed from that of a forwarder to a contract logistics provider. During the last decade of the 20th century, FIEGE grows to become an international enterprise. New branches are set up in Europe’s west and south; at the beginning of the new millennium, FIEGE expands strongly into Eastern Europe. And even Asia, where at that point in time Fiege had already been active in freight forwarding for over 20 years, facilities are being created in the most important economic regions of China, Hong Kong and Taipei. Department store logistics for Karstadt AG are one example of a further branch of supply chain services. In 1992, after a roughly ten-month construction period, integrated supply chain services were taken up at the goods services centre, or Warendienstleistungszentrum (WDZ) Ibbenbüren/Osnabrück on around 135,000 square metres of quality warehouse space. The WDZ Ibbenbüren/Osnabrück is the first privately-built and commercially-used services centre in Europe. For the successful combination of business and ecology in logistics, Fiege coined the term Ecologistics. The WDZ and consequently the entire company concept were honoured in 1992 with the German Logistics Award, bestowed on Fiege by Bundesvereinigung Logistik e.V., Germany's logistics association. Tyres, spirits, candles and food are the four major logistics areas handled at the new Mega Center Hamburg, which took up operations in 2006. Over 2,000 different articles by the international tyre maker Bridgestone fill the roll cages stored on some 43,000 square metres of space. Roughly 500,000 tyres are kept here, with up to 20,000 tyres coming in and going out daily. Staff duties include, for example as a value added service, even the assembly of tyres and rims.